In previous Chloe books I’ve featured Norwegian, Swiss, and Danish culture. When I began conceptualizing Tradition of Deceit, the 5th Chloe Ellefson Historic Sites mystery, I knew I wanted to celebrate a different ethnic group. 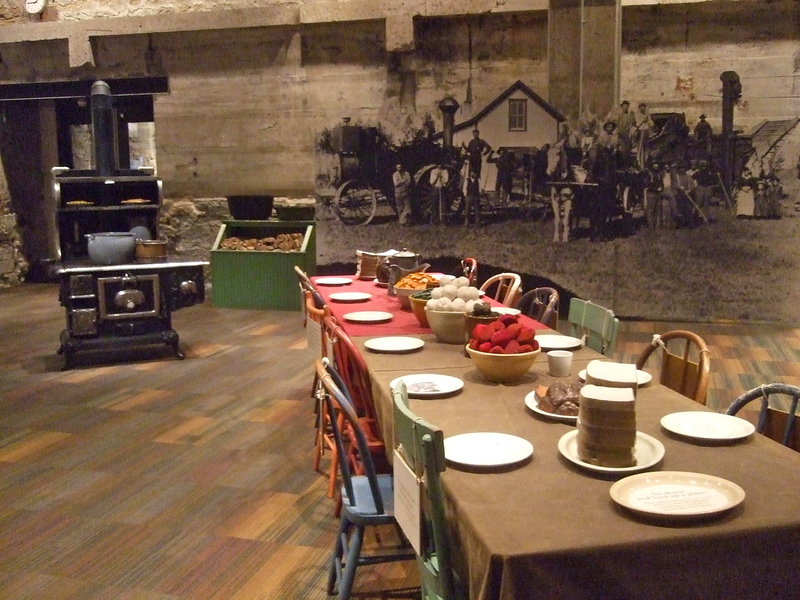 The first time I toured the Mill City Museum, where some of the book is set, the guide told us that the earliest women employees were hired during World War I. 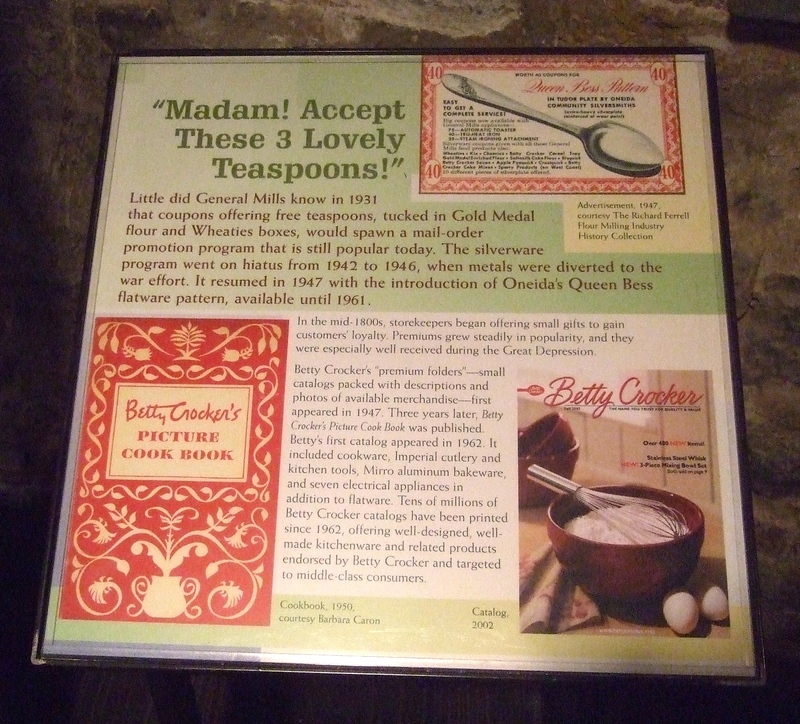 The company began packing flour into small five-pound sacks, and managers believed that women were best suited for that job. 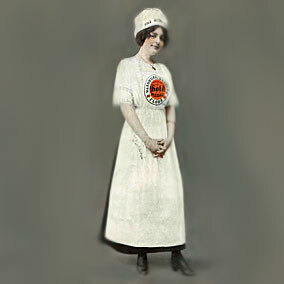 Female worker as depicted in an early ad. When the guide mentioned that some of the women hired were of Polish descent, I knew which ethnic culture to include in the new book! I created a plot strand that follows several generations of Polish-American women, and wove their story through Chloe and Roelke’s stories. Magdalena, the first woman, immigrated under very difficult circumstances in the 1870s. The story of Magdalena and her descendants resonates into the modern stories. At the time Magdalena left Europe, there was no Poland. Poles lived under foreign rule from 1795 to 1918. Many of them summarized their reason for immigrating succinctly: Za chlebem—For bread. Thousands of desperate people saw no hope of preserving their culture, tilling their own land, or otherwise providing the most basic necessities for themselves and their children in the Old World. However, some of the Polish immigrants’ vibrant traditions provide a wonderful contrast to the grim struggles many faced in Old World and New. 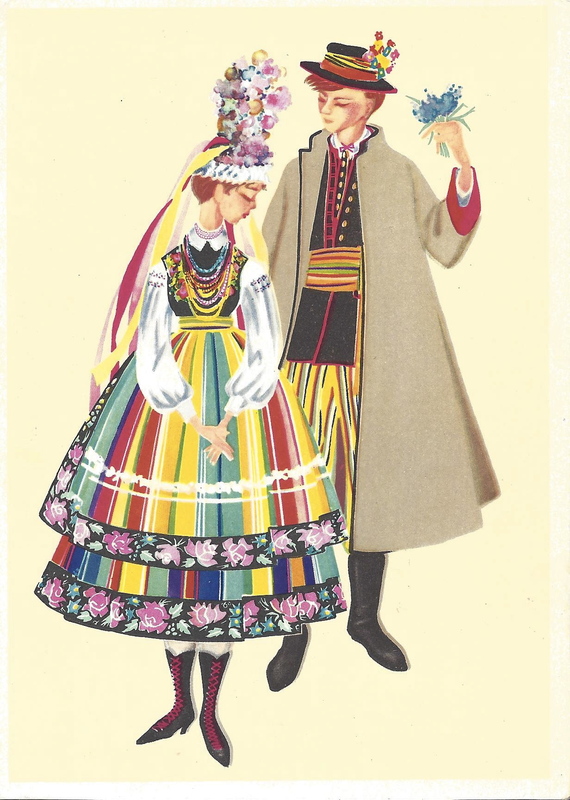 The old postcard below shows folk costumes from the region where my character Magdalena was born. This photo shows the cheerful paper cuttings and ornaments some people made to decorate their homes. 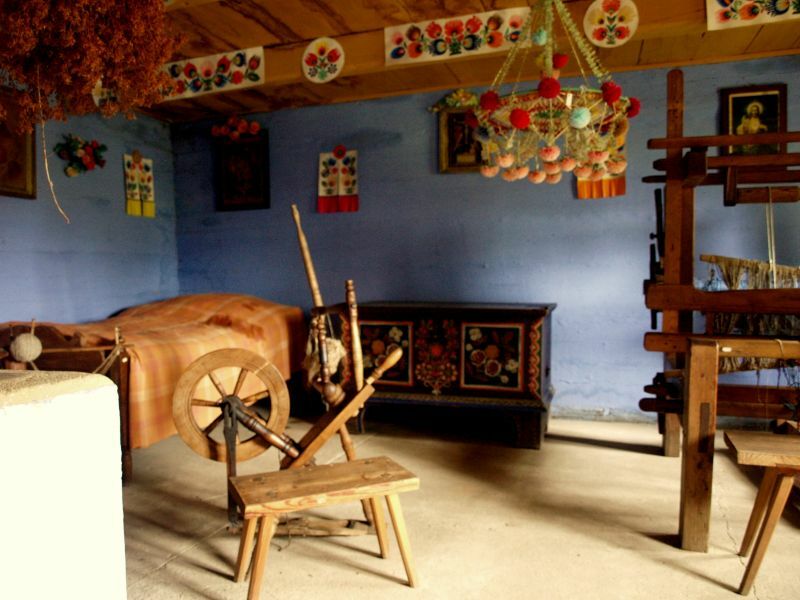 Photo from the Open Air Museum of the Łowicz Region Village in Maurzyce. 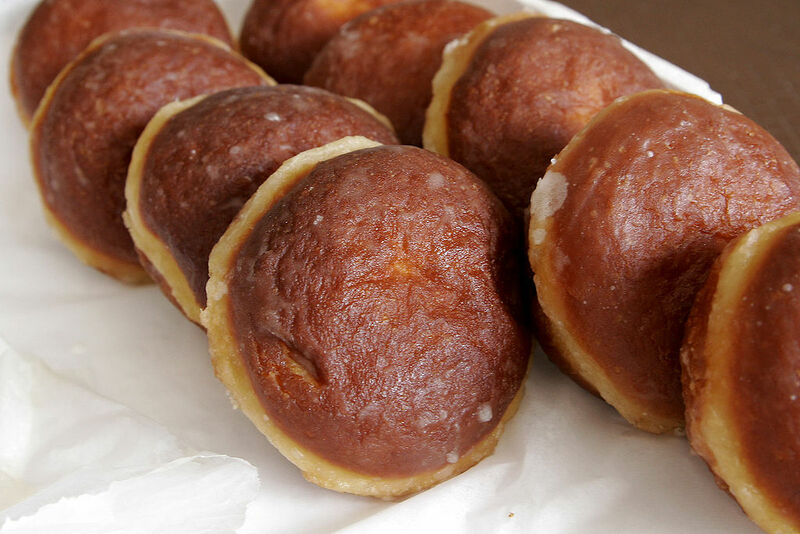 And with a plot centered on a flour mill, I simply had to include a few Polish baked goods, such as these filled doughnuts called pączki. Some of the customs I discovered became important elements in the murder investigations at the heart of Tradition of Deceit. 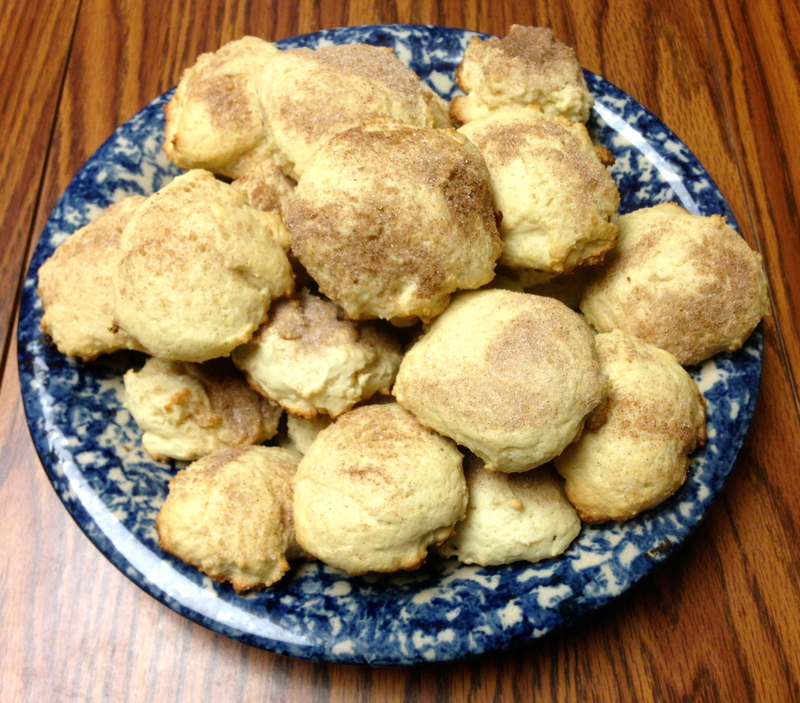 In weeks to come I’ll share more information about some of the folkart and baking traditions featured in the book. I suspect that Chloe readers will enjoy exploring them as much as I did. In Tradition of Deceit, Chloe visits a friend in Minneapolis to help with a proposal to turn a long-abandoned flour mill into a museum. The mystery is set in 1983, when such discussions and plans were underway. 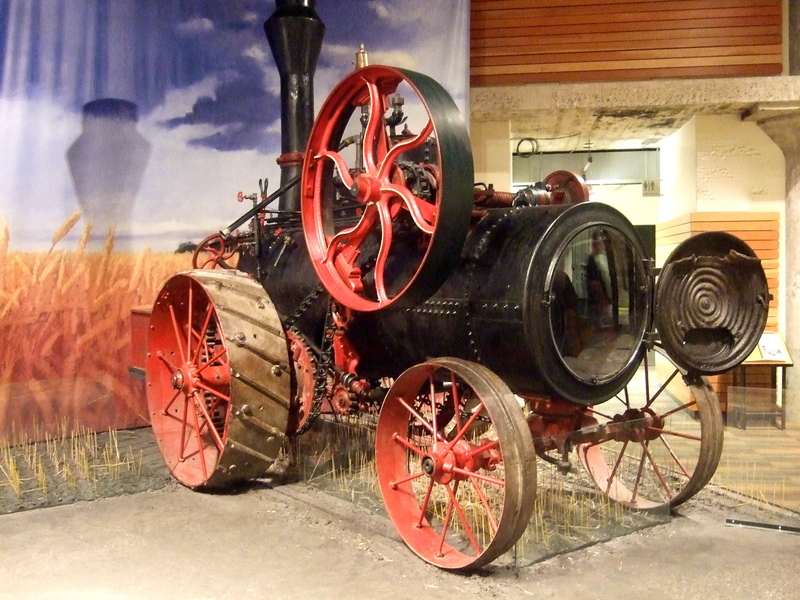 The visionaries were ultimately successful, and the Minnesota Historical Society opened the Mill City Museum in 2003. 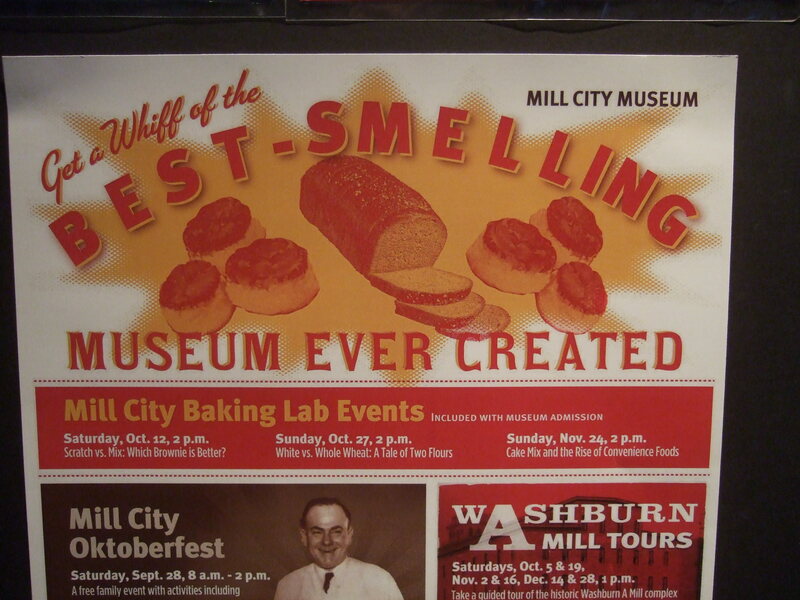 So…why did I choose to feature the Mill City Museum in the fifth Chloe Ellefson Historic Sites Mystery? First, it tells a fascinating story. 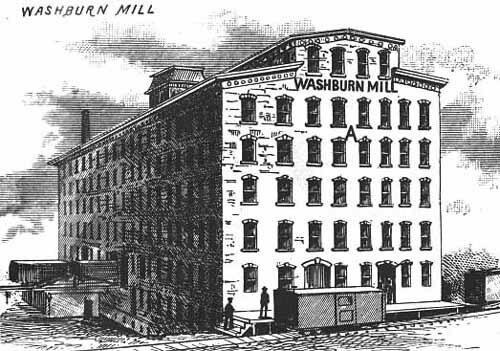 When the Washburn Mill was completed in 1874, it was the world’s largest flour mill. The production of a basic food item was industrialized for the first time in history. That building was destroyed within a few years. When it was rebuilt, the new 1880 structure and milling process was the most technologically advanced in the world. Records suggest that the mill at peak capacity could produce enough flour to make 12 million loaves of bread a day. 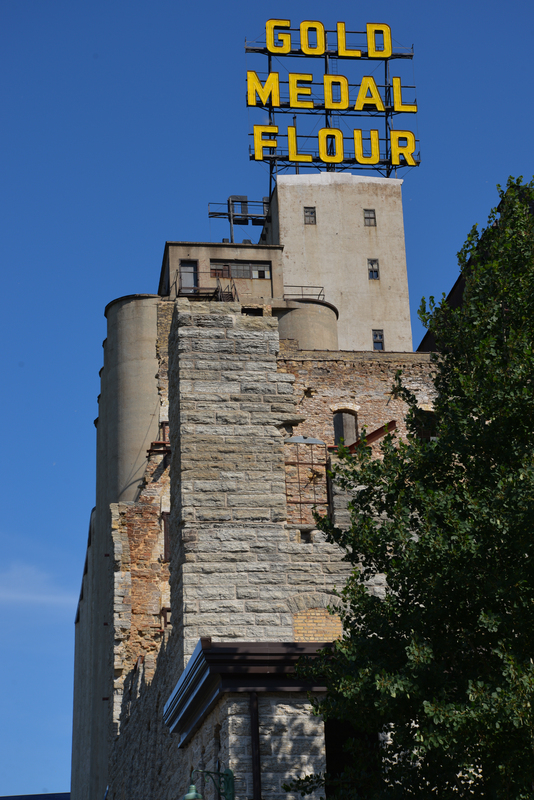 More mills were constructed nearby, and Minneapolis was known as “The Flour Milling Capital of the World” for about five decades. 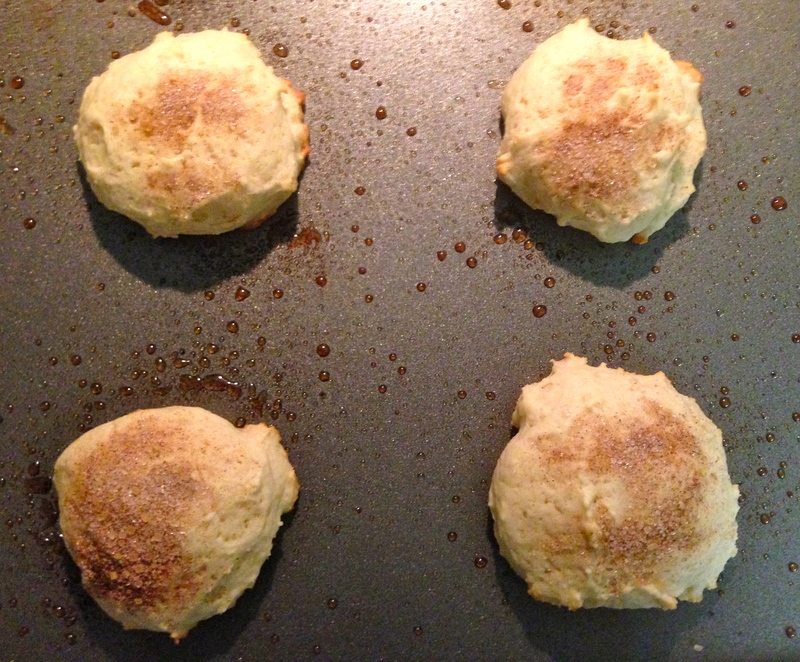 Chances are good you can find personal connections to this story in your own kitchen. 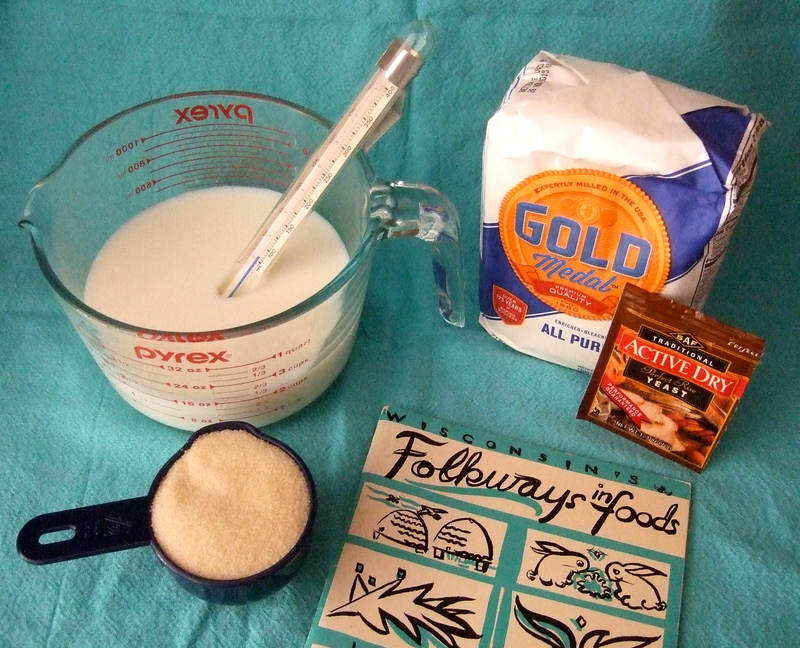 The Washburn company’s flour did so well at an early competition that it began packaging it under the name…Gold Medal. The marketing department created Betty Crocker. MCM exhibit. I inherited a copy of this particular Betty Crocker cookbook from my grandma. After several mergers, the company became a little entity known as…General Mills. 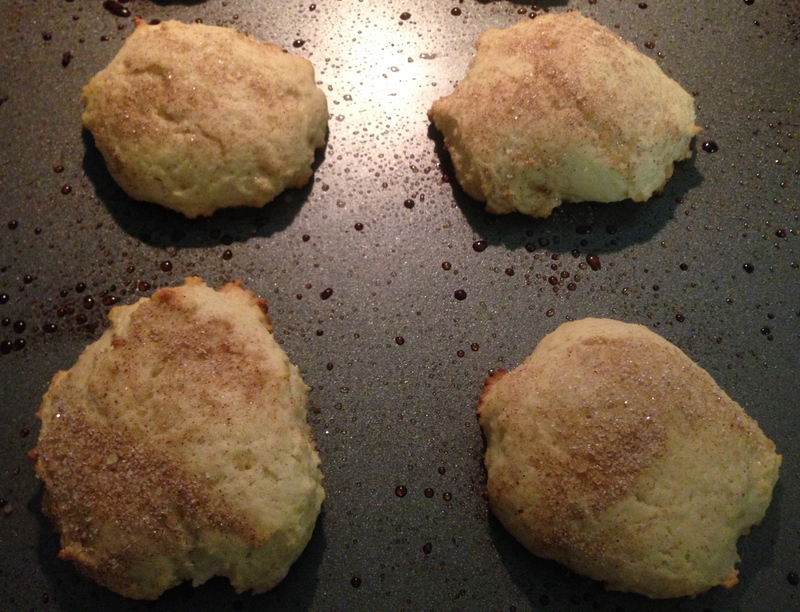 Second – Baking, baking, baking! 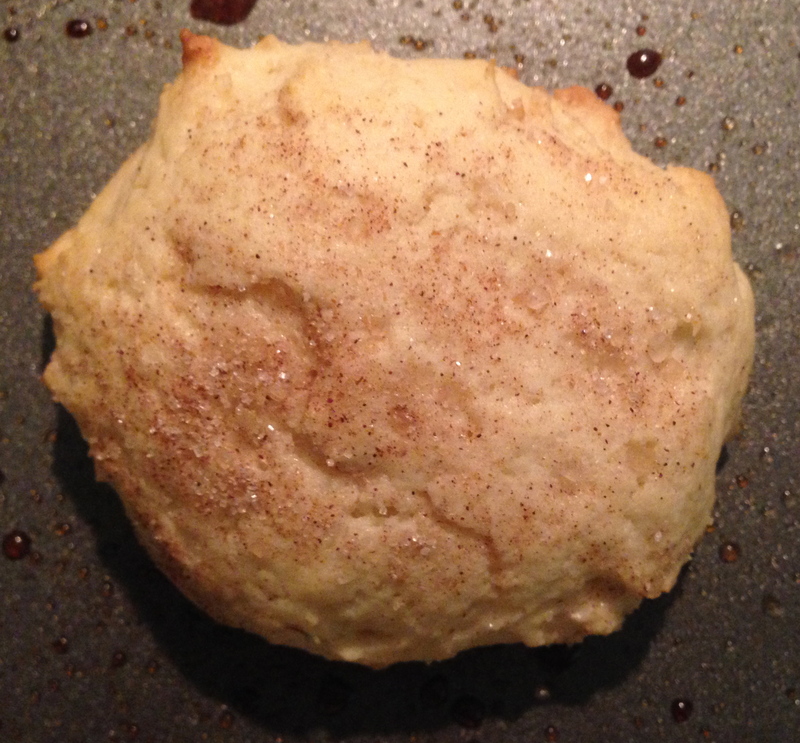 I’ve been testing old recipes, and will share favorites in the coming months. 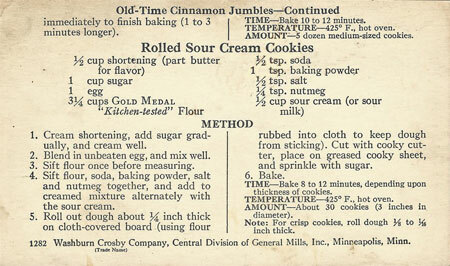 Old Time Cinnamon Jumbles, a yummy Betty Crocker recipe from the 1920s. 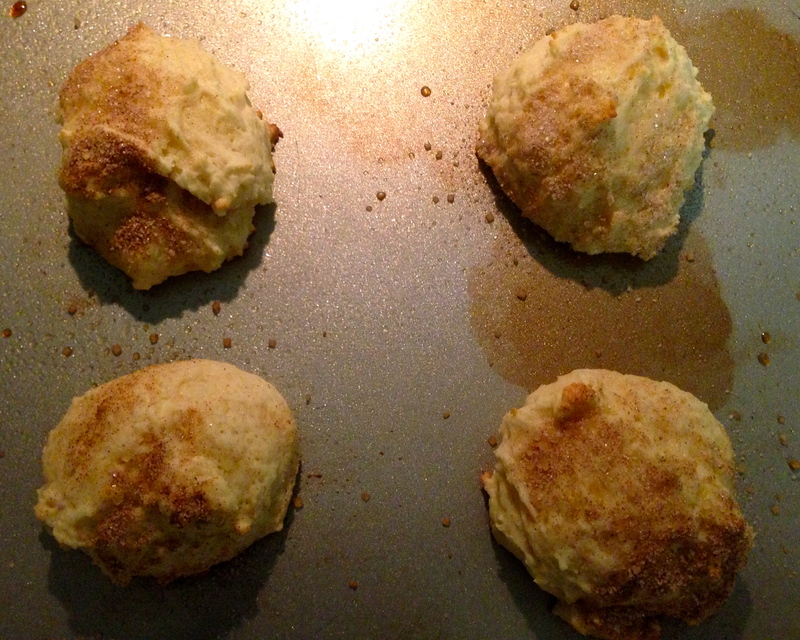 I’m exploring a new (for the Chloe series) ethnic food tradition, too. Third, the mill’s history in the 1980s was poignant and compelling. After closing in 1965, the mill was empty for years. It provided dubious shelter for many people with nowhere else to go. This let me explore some social issues of the time, and provided a unique setting for a murder mystery. 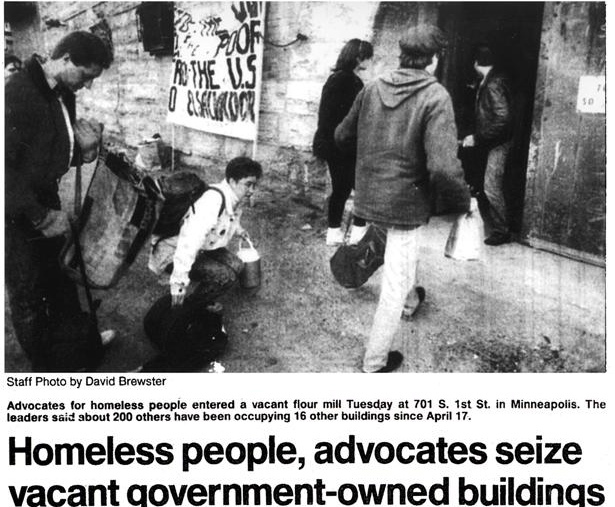 Star Tribune, May 2, 1990. 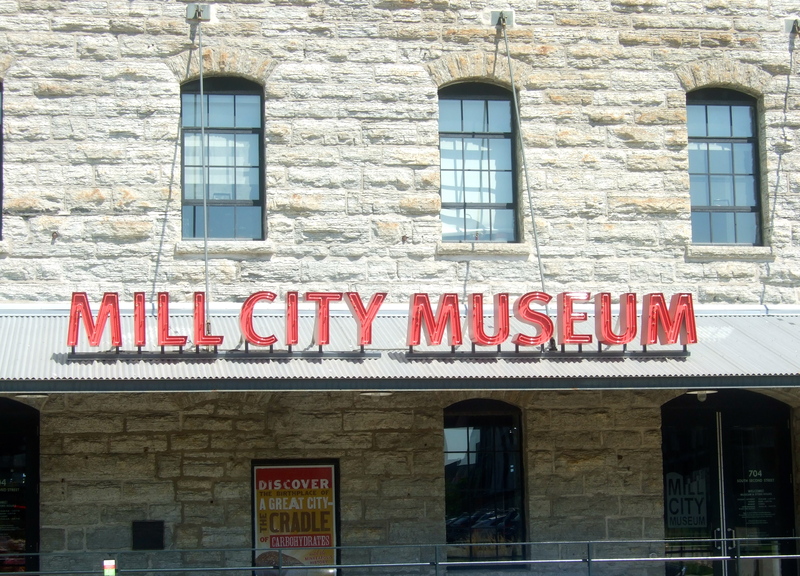 Finally, I loved exploring the Mill City Museum…and I think readers will too, whether within the pages of Tradition of Deceit (when the museum was still a dream) or on a field trip to see the real thing. 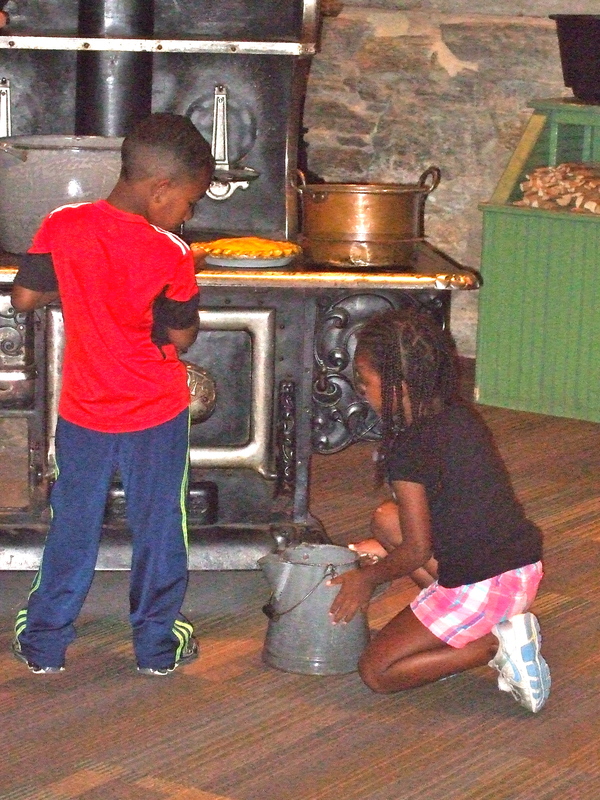 The museum was created around the ruins of the Washburn A Mill (which was largely destroyed by fire in the 1990s). I think this interpreter was pointing out dust collectors. 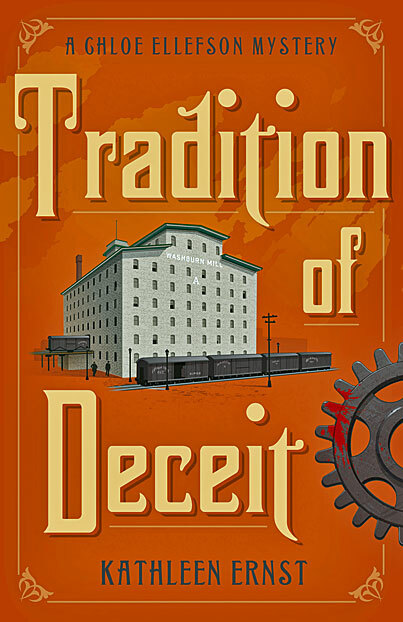 After you read Tradition of Deceit, you’ll understand why they were important. and programming often includes first-person presentations. 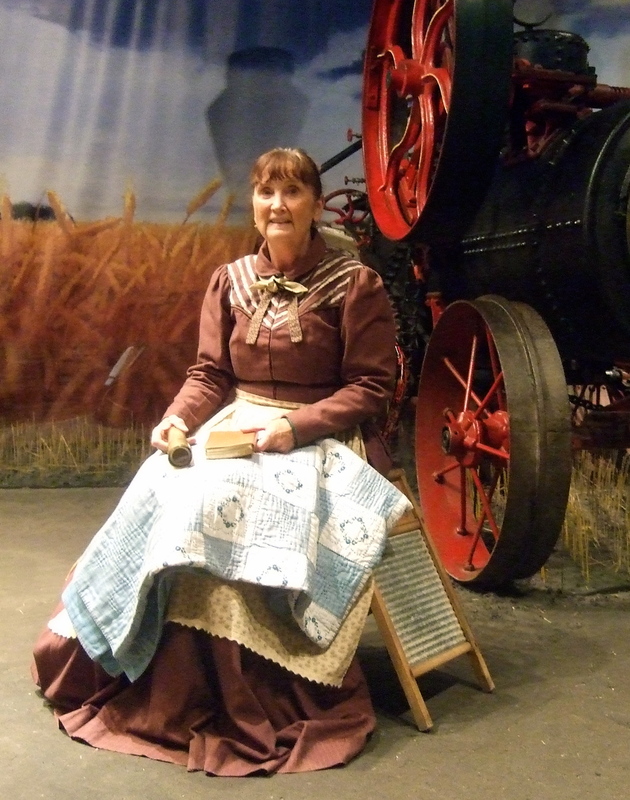 This interpreter portrayed Mary Dodge Woodward, a widow who moved from Wisconsin to a 1,500-acre “bonanza farm” in the Dakota Territory in 1882. 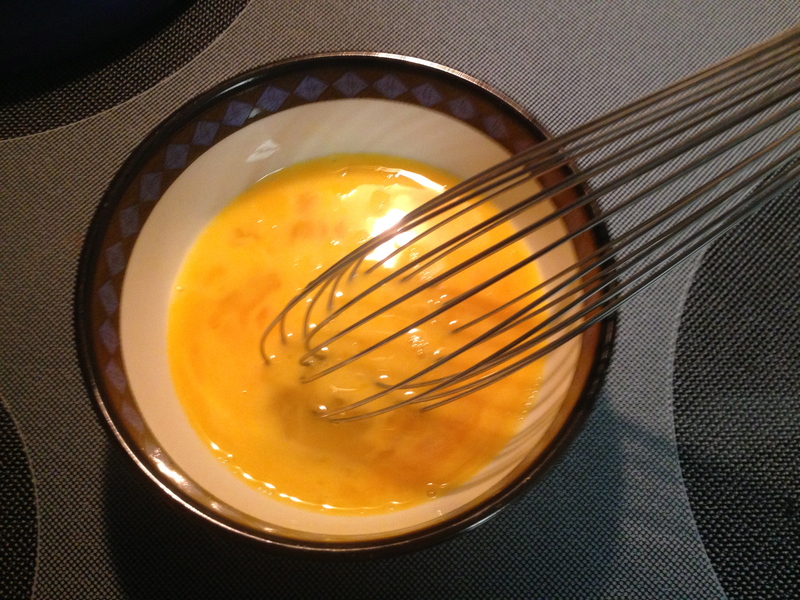 …and guests can sample the recipe of the day. 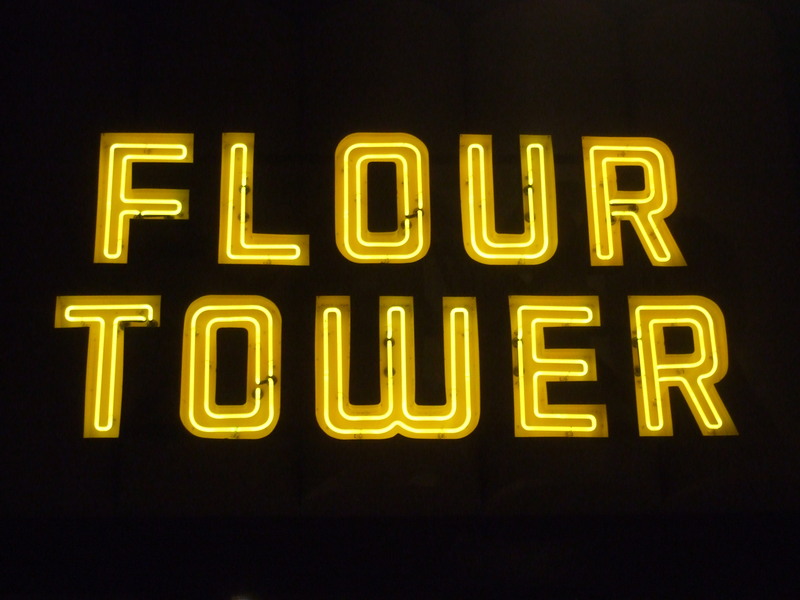 and a very cool Flour Tower Tour. This special tour—one of the most ingenious interpretive program I’ve ever seen—was created by repurposing an old freight elevator. Guests riding up and down glimpse different aspects of life in the old mill. Interpreters also lead special behind-the-scenes tours on a regular basis. 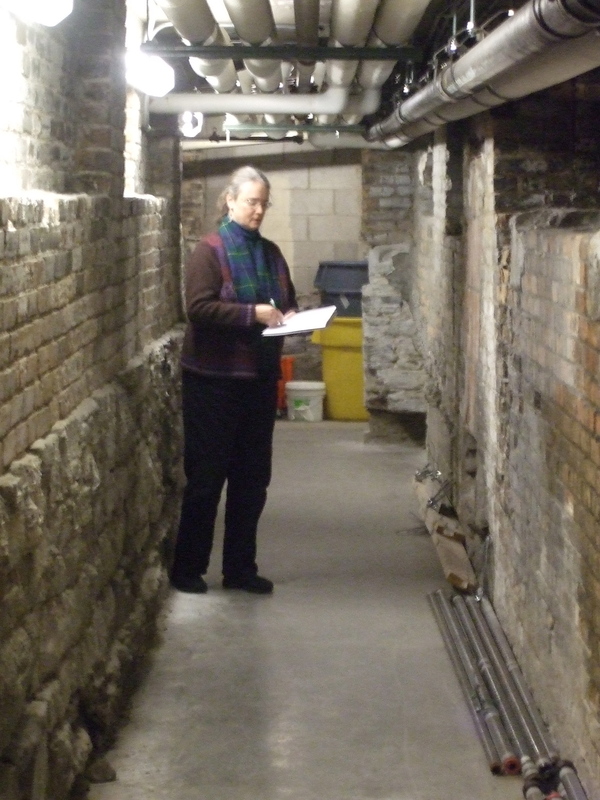 That’s me, scribbling frantically while touring one of the areas not generally open to the public. I’ll be sharing lots more in future posts. 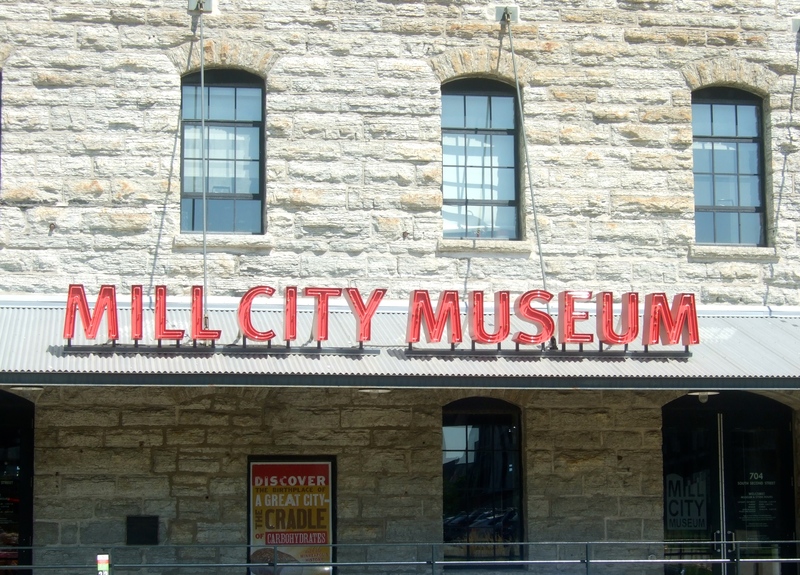 In the meantime, you can learn more by visiting the Mill City Museum website. I also recommend Mill City: A Visual History of the Minneapolis Mill District published by the Minnesota Historical Society Press. Have fun exploring! 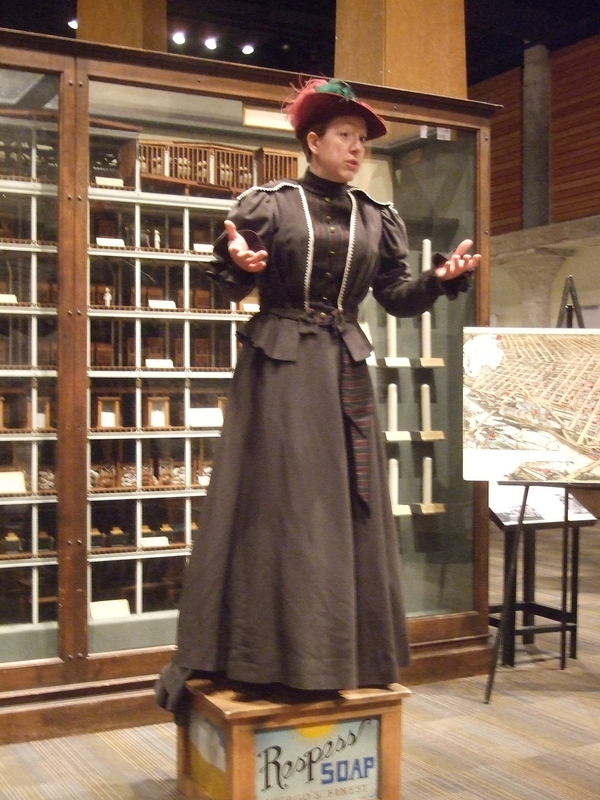 The Mill City Museum in Minneapolis, Minnesota, celebrated Women’s History Month with a fascinating and multi-layered special event. I find it easy to imagine the lives of historical rural women. City women, not so much. Perhaps that’s because most urban historic sites interpret the lives of wealthy people who lived in fancy homes. Local citizens often rally to save a treasured mansion from the wrecking ball, and God bless ’em for doing so. There is seldom widespread lamentation, though, when the tenements or nondescript homes middle-class or poor women lived in a century or more ago give way to new development. 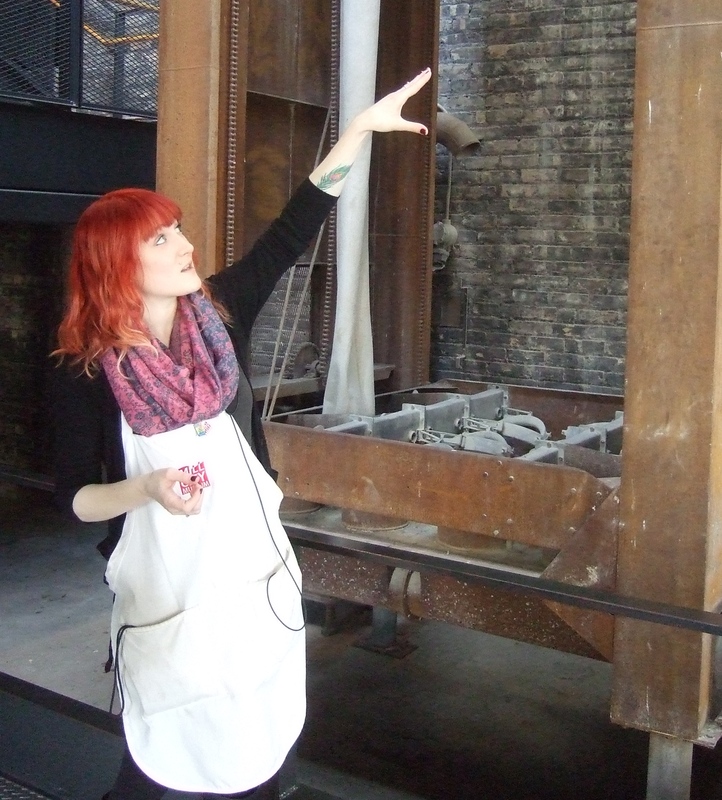 The Mill City Museum offers a glimpse the lives of working women. 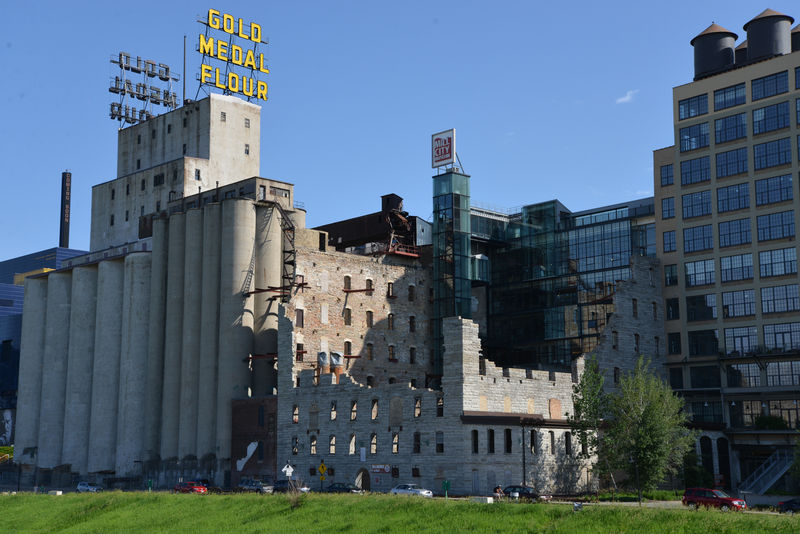 Created among the ruins of what was once the world’s largest flour mill, it tells the story of the flour industry technology and its role in Minneapolis—and global—history. 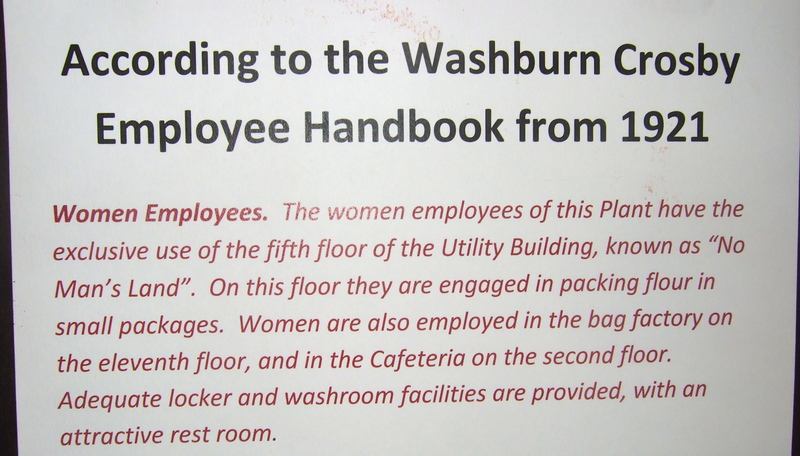 But interpreters and exhibits also shed light on the day-to-day lives of employees. The mill hired its first female workers in 1919. 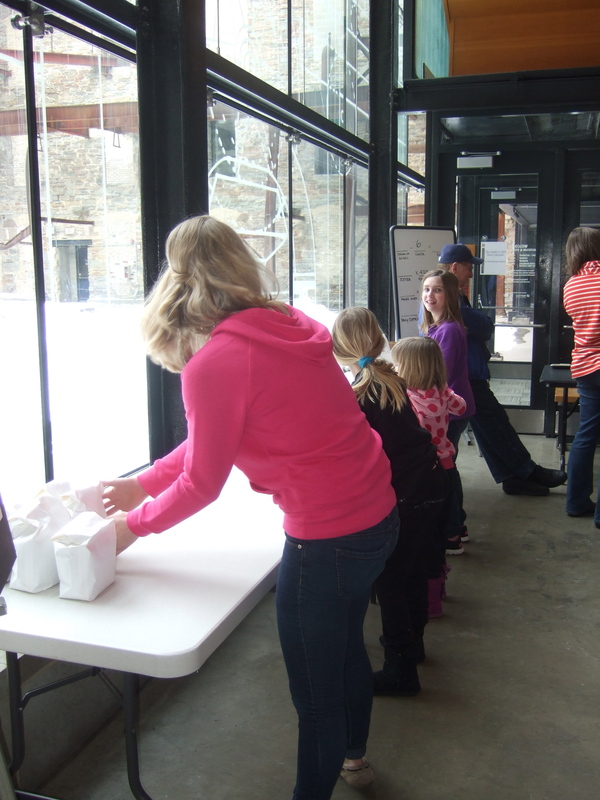 The “Women of Mill City” event included an experiential glimpse of the work done by female packers. Interpreters explained how fast the women had to work in order to meet their quota. They personalized that history by relating the story of a legendary young woman who worked so efficiently that she was able to take naps during her shift and still make her numbers. 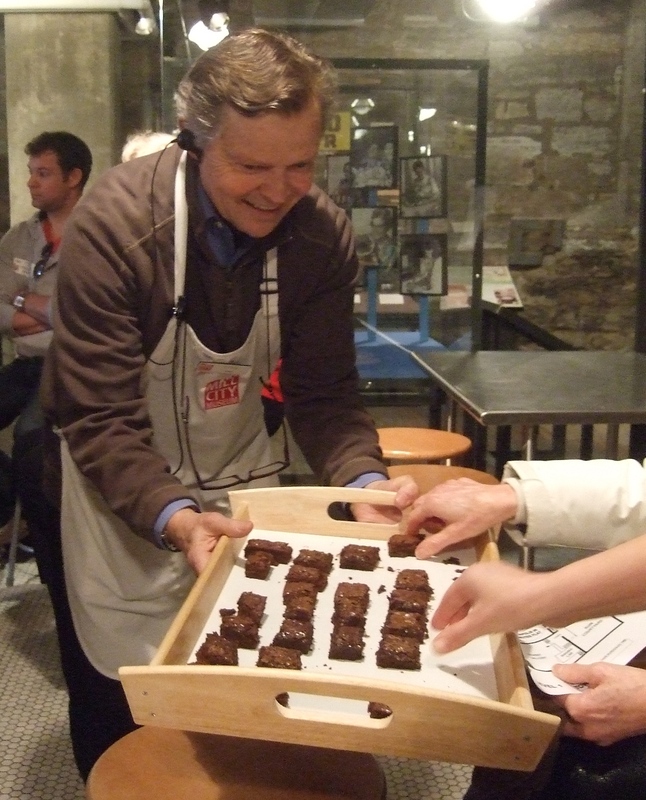 Guests were also invited to try their hands at a simulated packing activity. I managed to fill my box with the requisite number of sacks before the stopwatch brought me to a halt, but only by running. 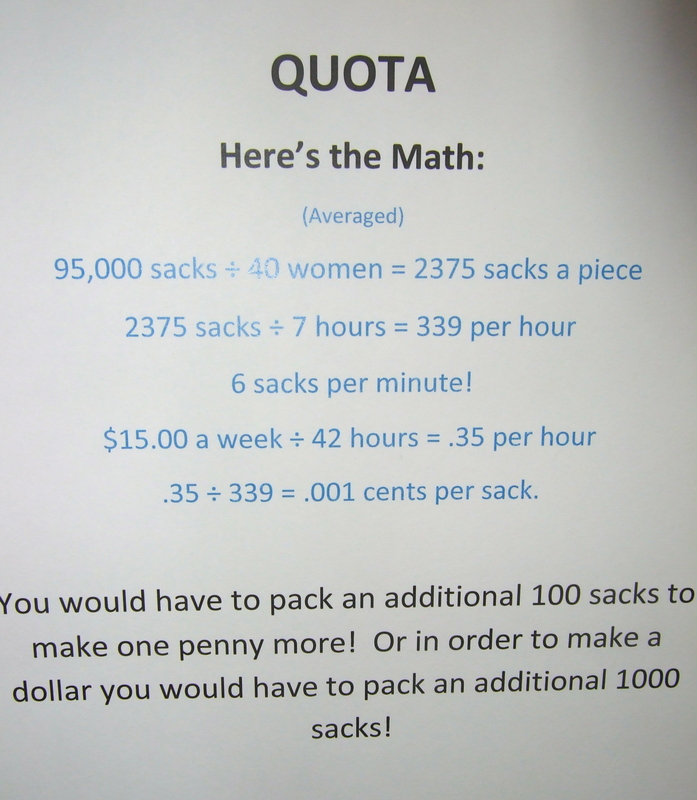 I can’t imagine keeping that up for eight hours, not to mention actually filling and sealing the five-pound sacks, instead of pretending. 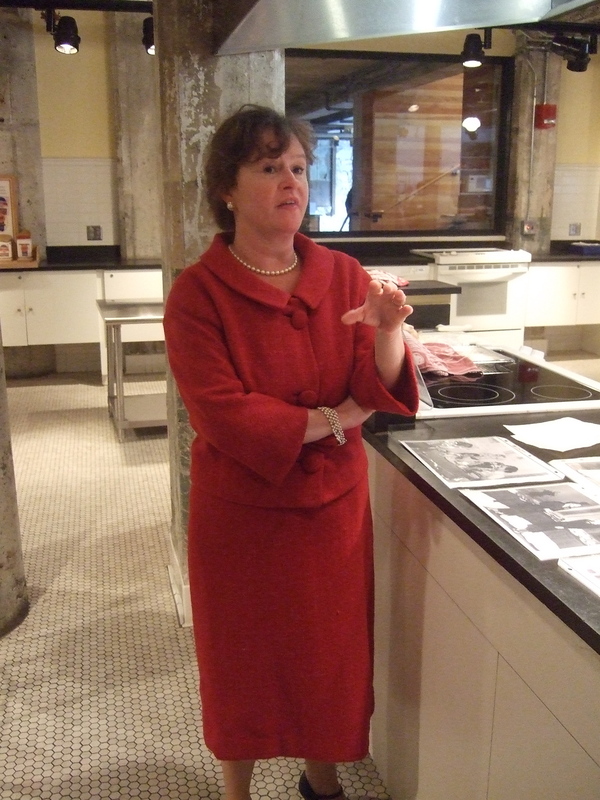 Visitors were introduced to a completely different aspect of women’s role in flour industry history when an interpreter portraying Ruth Andre Krause, who became Director of Pillsbury’s Home Services Department in 1950, made a presentation in the museum’s baking lab. 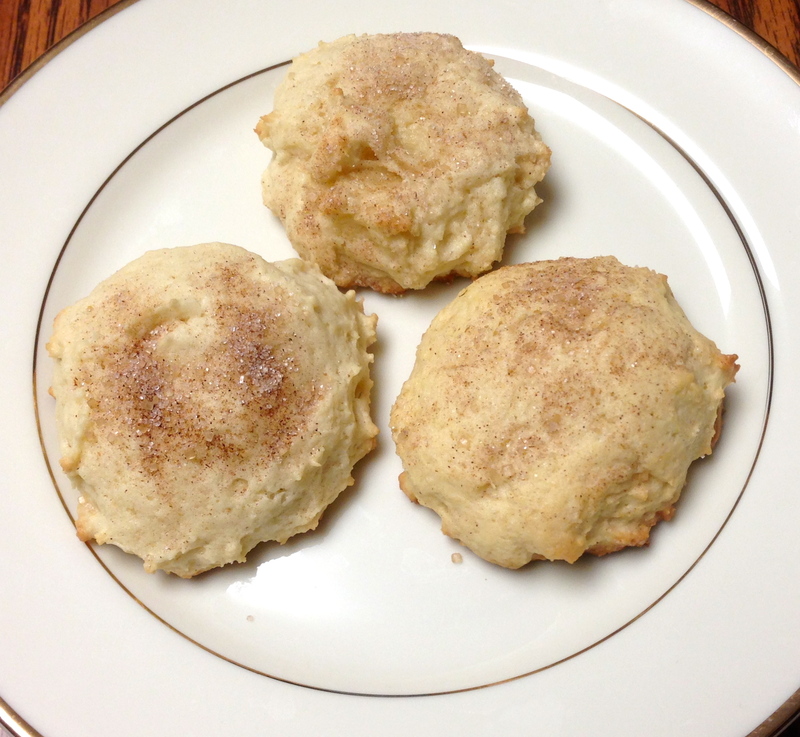 Ruth, sometimes known as “Ann Pillsbury,” became the public face of Pillsbury—overseeing baking tests, showing guests through the company kitchens, and appearing at public events. 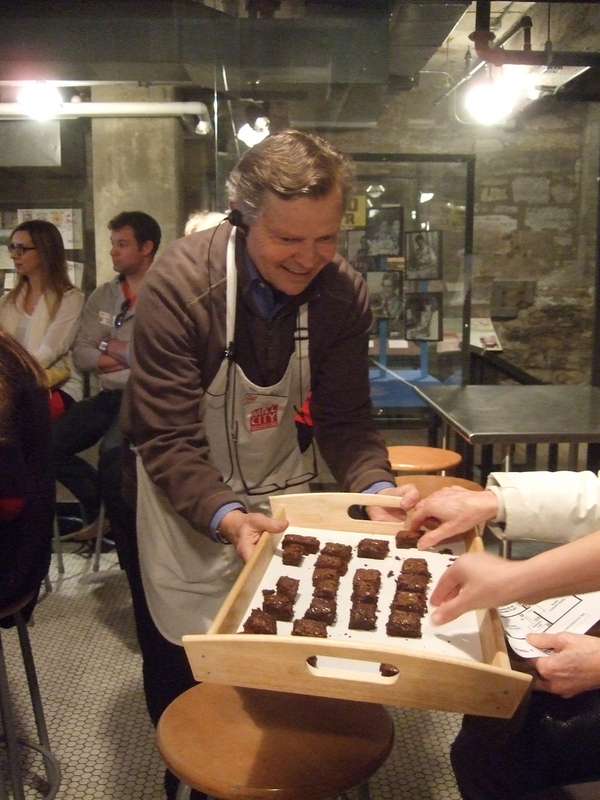 When she discussed the development of mixes, an assistant passed out brownie samples so visitors could assess quality for themselves. 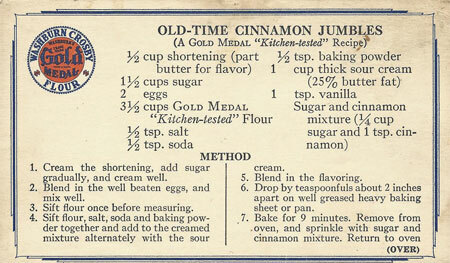 Between the experiences of women on the work floor and the powerful role women played in marketing Pillsbury and Gold Medal Flour to the world, the museum provided lots to think about. But for this special event, event planners also included first-person performances showcasing the contributions of other Minneapolis women. Eva McDonald Valesh, known as Eva Gay, was a writer and speaker who went undercover to document the lives of women factory workers in the 1880s. She exposed harsh conditions women endured, and led to the first big female-led strike by women working in a textile factory in Minneapolis. 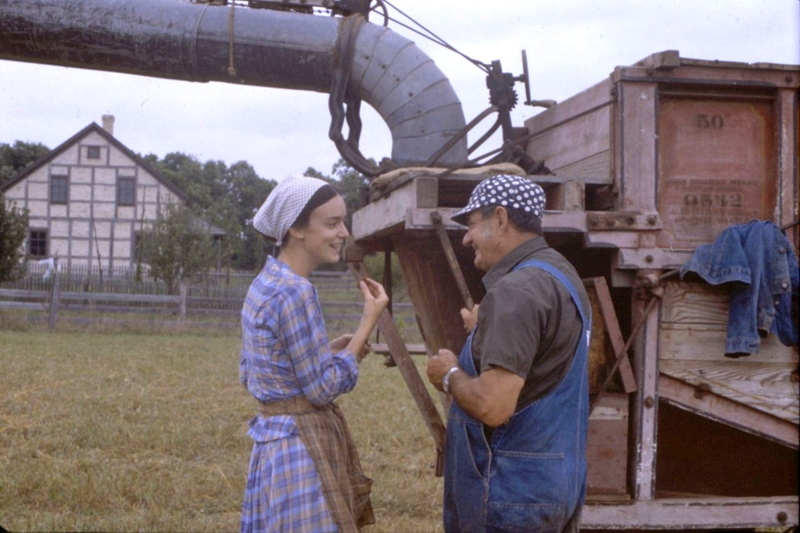 Other performances featured Gratia Countryman, Head Librarian of the Minneapolis Public Library; and Mary Dodge Woodward, who managed a Bonanza farm. More on them another time. 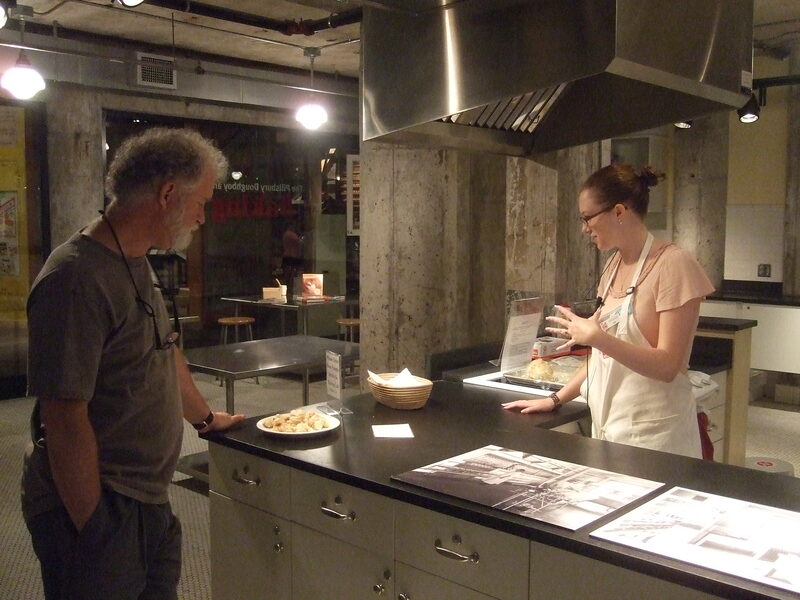 Guests who attended “The Women of Mill City” event left entertained, educated, and engaged. In the museum world, it doesn’t get much better than that.